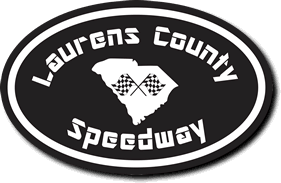 A heavy shower an hour before race time didn’t do enough to force a third straight rainout at Laurens County Speedway, much to Lee Gray’s approval. Gray won both the qualifying for the main event in the 602 Crate Division and the 25-lap main event, topping Cameron Crowe and Chris Patterson in the main event. Crowe was second, with Chris Patterson third. Dale Timms was fourth and Josh Hellams was fifth in the race that didn’t start until well past midnight early Sunday morning. Gray won the pole for the main event with a time of 15.765 seconds, barely beating out Patterson’s 15.807-second lap. When Gray rolled the inversion dice he picked up a two, meaning that he and Patterson switched places on the front row for the start of the main. Despite losing the poll position Gray used his outside starting spot as a springboard to get around Patterson and take the lead, building a steady gap between himself and Patterson. The race had only one caution on the 11th lap, and after that the cars were lined up double-file with Patterson starting on the inside again and Gray on the outside. Patterson held the lead through much of the remainder of the race with Gray right behind him, but in the final laps Patterson tagged the wall in Turn 2 to give Gray the avenue to get past for a lead he would not give up. Limited: Deano Long bested Michael Smith in the final main event of the morning, with Smith settling for second place. Billy Rushton was third. Long and Smith started on the front row, with Long moving up on the start to take first place. Rushton tried to stay with the two leaders but never got past Smith’s second-place position. As the race went on Long continued to hold a steady lead on the field as Rushton continued to push for second place but could not get all the way to second place. But as the two battled for second Long was well on his way to victory, never getting seriously challenged the remainder of the main event. FWD: Jonathan Sarratt won both hot-lap qualifying, then took home his heat race, and finished off his trip to LCS with a victory in the Front-Wheel Drive main event. Tony Hill took second place and James Coggins was third. The division’s wildest moment came during the second heat when Blaine Quarles flipped his car going through the first two turns. Quarles was okay but did not race the main event. Sarratt, who won the pole with the only sub-21 second lap (20.979) got out to the lead with Hill following in second place at the start. Sarratt quickly built an advantage on the field, leading by more than two seconds through two laps, but a caution on the third lap brought the field back together. Sarratt continued in front after the restart as Hill kept hold of second place, and his lead never was in jeopardy the remainder of the night. 604 Crate: Larry Timms won the main event in the 604 Crate, with Goose Calvert taking second and Colby Cannon finishing third. Timms finished second in qualifying (15.902 seconds), losing out to Calvert by .006 seconds. When the race started Timms went from the outside of Row 1 to the lead with Calvert following in second. The two quickly opened space on the field through two laps, but Timms managed to start pulling away from Calvert soon after. Timms built a lead of more than 1.7 seconds before a caution came out on lap 5. After the restart Timms used a very good start to maintain his lead, with Calvert holding on in second. Ray Storay tried to catch Cannon for third place but his best efforts were not enough to change the top three finishers. 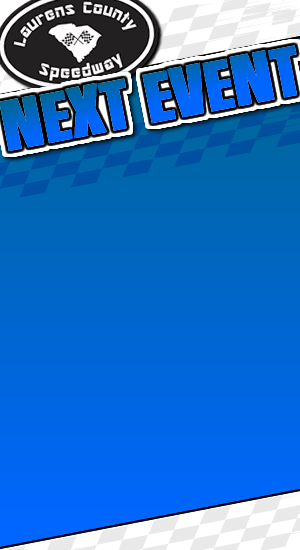 And while that battle went on Timms, at the front of the field, had no trouble at all in picking up the checkered flag. Monster Minis: Travis Sharpe picked up the victory in the main event, with Phillip Wilson finishing second and Dustin Morris claiming third. Sharpe took the lead on the first lap of the main, with Jasper Brown following in second and Danny Sexton following in third, but Sexton quickly made a pass and got to second at the end of the first lap. After a caution on the second lap Sharpe continued to hold his top position with Sexton following in second. The two drivers stayed in their top spots as the laps went on, only to have Wilson systematically move through the field and eventually taking second toward the end of the main event. But Wilson’s best efforts were not enough to catch up to Sharpe, who never trailed. Thunder Bombers: Dan Lawson found his way back to the top of the Thunder Bombers main event, with Dylan Chappell second and Casey Lawson following in third. Dan Lawson started on the inside of Row 1 and, after a first attempt at starting the main was wiped out due to an accident, Dan Lawson maintained the top spot. Casey Lawson was in second place with Chappell third, but Chappell had some bad luck and started to fall back in the field in the early going. Dan Lawson continued to hold off Casey Lawson as the laps went by, battling Shane Roberts before Roberts spun out Casey Lawson on the fifth lap. Roberts went to the back of the field, but Casey Lawson kept his spot. Dan Lawson continued to hold the lead through each of the remaining two restarts, and pulled out to a comfortable lead for the remainder of the race, while Chappell was finally able to catch Casey Lawson and pass him for second on the main event’s final lap.